SISTER CLUB: Middleton Make It Six! 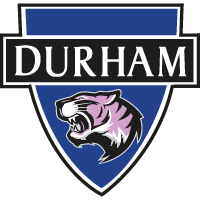 Durham Women FC are delighted to announce a sixth local club has signed up to our FA WSL Sister Club Programme! Five teams have already been announced as part of the programme - Durham United, Washington NSG Athletic, Shincliffe Juniors, Pirelli FC and Lumley Ladies - and now Middleton Rangers have joined the ranks! Middleton Rangers were formed in 2003 in Middleton St George and initially had just one team. The club has grown immensely since then and now have boys teams from U7 all the way up to U19 who play in the TJFA, alongside four girls teams' from U10 to U14. In addition to this, Middleton Rangers have a thriving disability group which ranges from U6 to U16. Without a doubt they are a club that is getting bigger every year, and they have already engaged with the Wildcats on several occasions through our tournaments and mascot opportunities. You can find out more about Middleton Rangers on their Twitter page, Facebook page and official website. As part of the FA WSL Sister Club Programme, Middleton Rangers will enjoy their Sister Club Day at the FA WSL fixture against Doncaster Rovers Belles on 11th February, while all their junior players will be able to benefit from free admission to our fixtures, tournaments across the season, player visits and open training sessions as well as much more! Commenting on their decision to join the programme, Middleton Rangers chairman Les Hughes said: " I am pleased that Middleton Rangers are going to be a part of he Durham Women FC FA WSL Sister Club Programme. 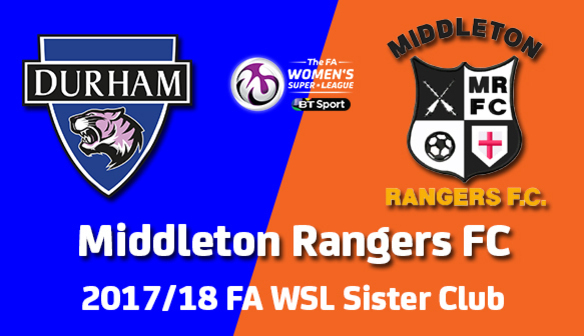 "It will benefit all parties bringing much needed publicity to the women's game and to Middleton Rangers"
Mark Donnelly, Durham Women FC's Sister Club Programme Officer, added: "We're delighted that Middleton Rangers have joined our FA WSL Sister Club Programme. "They're an extremely inclusive club with a fantastic provision for female football and we look forward to helping them grow that even further. "I know they'll be regulars at our games, as they have been over previous years, and I look forward to seeing them all at games throughout the season!"